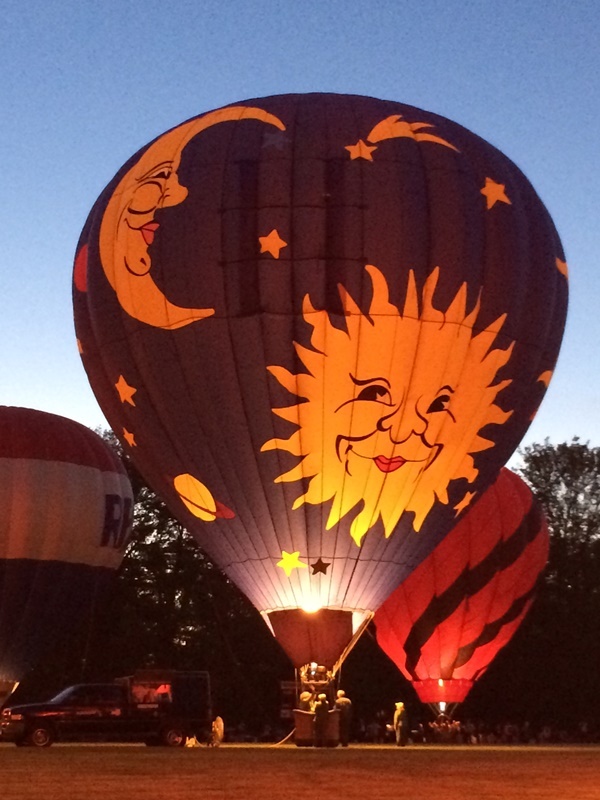 A few years ago we heard about the Chagrin Falls Balloon Glow in Chagrin Falls, Ohio. 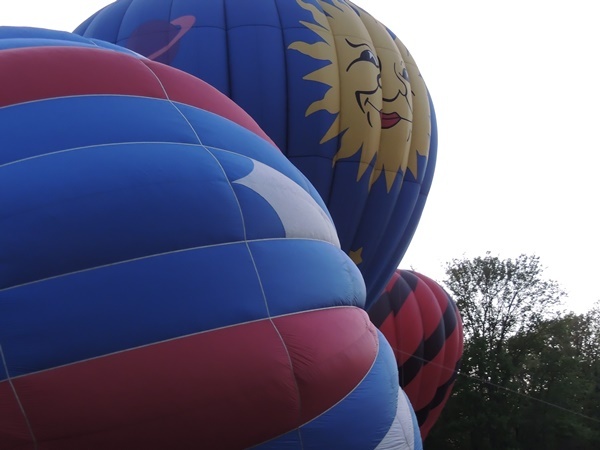 It’s part of their Memorial Day weekend Blossom Time Festival and it sounded like a wonderful opportunity to see some hot air balloons up close. The day we went it was cloudy and windy so it was cut a bit short but we loved it anyway and always wanted to go back. We were excited to finally make it back this year and we couldn’t have asked for better weather, blue skies and 70 degrees. The Chagrin Falls Balloon Glow takes place behind the Chagrin Falls High School on the baseball field. Spectators line the field from behind home plate all the way out into the outfield. This year it was set to start at 8:30 pm. We arrived about 8:00 and the crowd was already huge. We had to park pretty far away but at the end of the night we all agreed the walk was worth it. We set up our camping chairs out in left field and when we arrived the ReMax hot air balloon was already up and in place. It looked really neat against the beautiful sunset and I was excited capture a few colorful pictures before the sun went down. 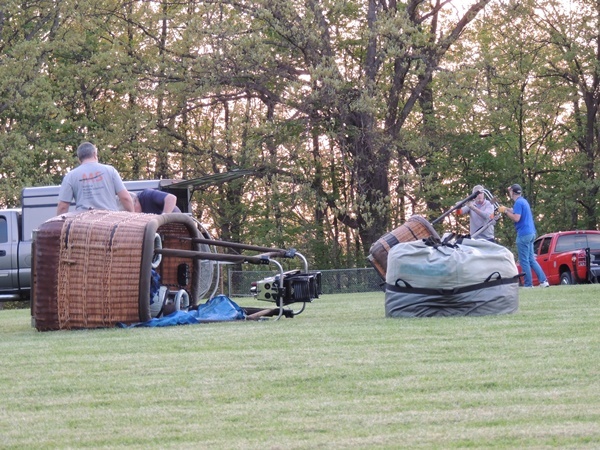 Pretty soon trucks pulled onto the baseball field to unload the hot air balloon baskets. 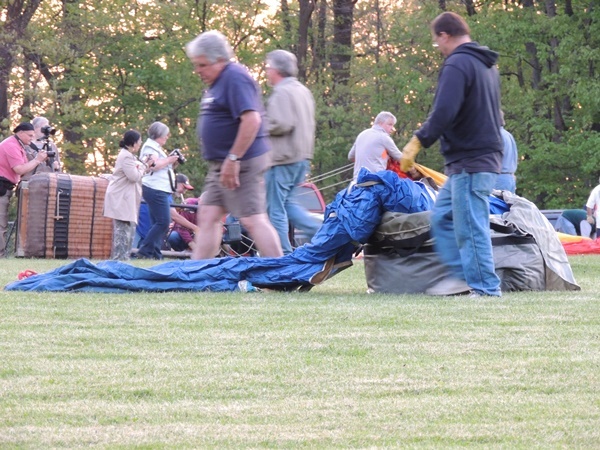 Next they placed the bag holding their hot air balloon on the field (can you believe a hot air balloon fits in that bag!). Then one by one they unrolled the balloons laying them out on the field. It wasn’t long before they had them hooked up to the baskets and were turning on the gas, lighting the balloons so they would fill with air above and around us. Next time I’ll be sure to turn my phone horizontally. It was an incredible and colorful site! The balloonists would turn off their flames for a minute or so and then the lady with the microphone would shout, “Light your balloon if it has red in it!” And all the balloons with red would light up. She yelled out a number of different things to get a variety of the balloons to light up at different times. It was all a lot of fun and I was excited to snap so many incredible photos. I captured all of these from my seat in left field where I sat with my mom and the kids. Dave and my dad were more adventurous and actually went out on the field and got some amazing shots. I’m hoping Dave will have a little time in the next few days to put together a post full of his photos too. 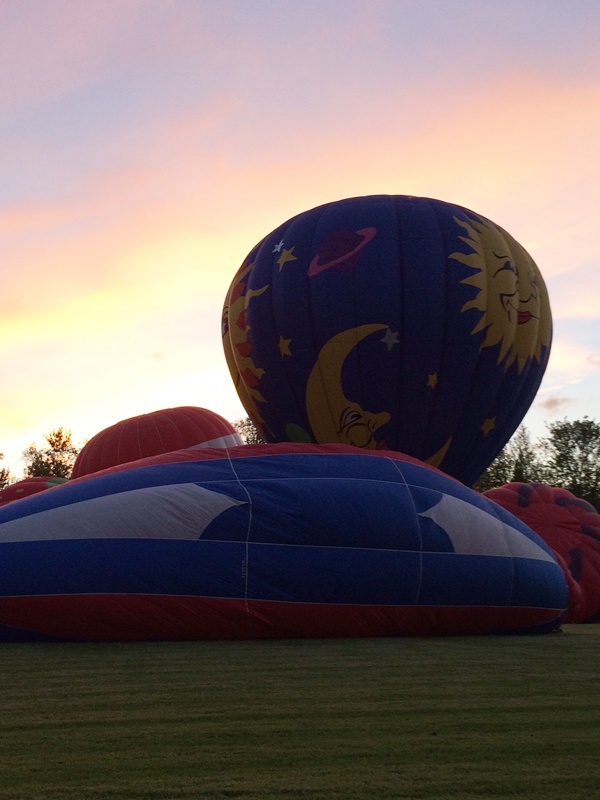 As you can see we loved the Chagrin Falls Balloon Glow and had a wonderful and memorable time. We recommend it to anyone with an interest in hot air balloons. 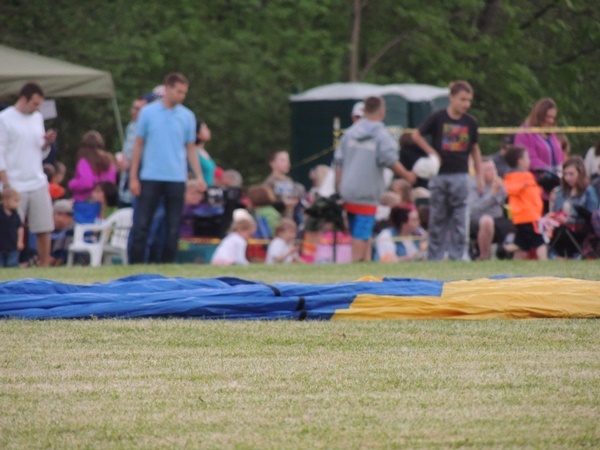 It’s a great family event and they had a few stands available with carnival food and drinks and there was enough space on the field before the balloons started for the kids to play catch, tag, and other outdoor summer games. The link with a bit of info for this year’s Balloon Glow is here, if you are reading this another year and the link isn’t working try this one from the Chagrin Valley Jaycee’s, it should have some info for you. If you’re in the area we hope you can make it and that you have as much fun as we did. This looks like so much fun! It’s on my bucket list. I can’t imagine how pretty these look at night. Looks like such a fun time. I miss chasing balloons. Need to get back into it since it’s so much fun. This look neat and a whole lot of fun. I have always wanted to go on one of these, and i will someday. I would love to see this in person. Although, I’m so afraid of heights that I’d never be able to go for a ride! These are such great photos! I am sure the event is even prettier in person! What amazing pictures! I would love to go there and it looks like a lot of fun! I have not been to a balloon race in years, I see them in the sky now and then, but love watching them light up early in the morning. So awesome. We have a similar event in IL around the 4th of July and the kids love it! I had my eye exam today and one of the pictures had a hot air balloon in it. 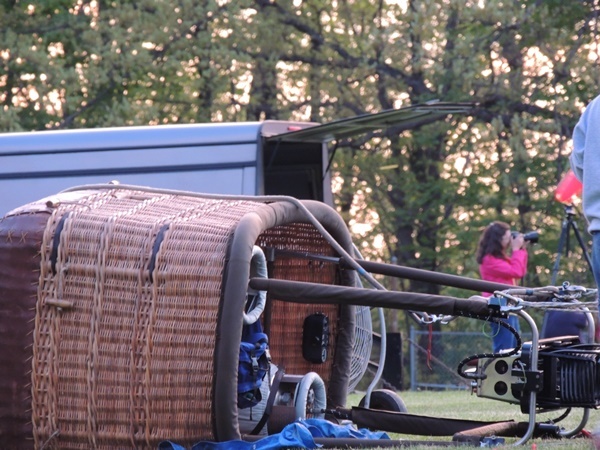 Now I *really* want to get back to ballooning. I’ve always wanted to visit the Albuquerque balloon festival but this one looks good too. I loved the one in Albuquerque. I need to find one closer to home. What a gorgeous night! Wow, I would have loved to be there. I’ve never seen anything like this. I need to get back into chasing balloons. Got into it when I lived in Albuquerque with the big balloon festival there. It’s lots of fun. Beautiful! We are lucky to have a lot of hot hair balloons near us. They fly most weekends. It has to be such a stunning sight to see all of the lit up globes together. I have never heard of it and we live in Ohio, maybe next year we will make the trip. I would not only love to see this , I would love to fly in one!! Wow! Looks like a fun adventure… in the sky! I’ve always thought it’d be cool to ride a hot air balloon. I have always wanted to see these balloons in action. It must be incredible to ride in one. Wow – I had no idea that balloons could be so gorgeous – and what amazing photos it makes! This looks like a good time for all! We’ve never been to an event like this but I’ve always wanted to. It looks spectacular. This sounds like a lot of fun. 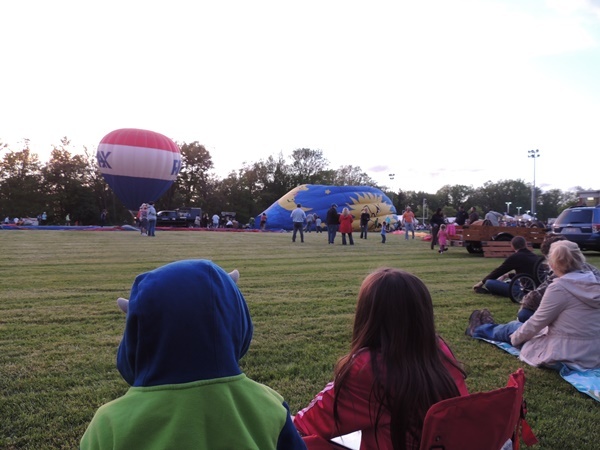 We have a balloon festival near us that we hit every year, it is awesome. My grandson was just showing me pictures the other day of his hot air balloon ride he went on while on vacation. I absolutely love watching these. I bet they are beautiful at night. We just went to a hot air balloon event and it was amazing to watch all the balloons take off. After going and watching them in person, I want to ride in one now more then ever. They are beautiful to watch! We have a hot air balloon festival near us we visit every year. I am amazed at the beauty of the balloons as they fill the sky! What a great event. We have small versions around my area and are always amazed at the sight of them. I am not a big fan of heights so I don’t plan of taking a ride any time soon. I would love to see this. I remember as a kid we saw some in our area but not many. I would love to ride in one! I got to see my first hot air balloon up close a few months ago. 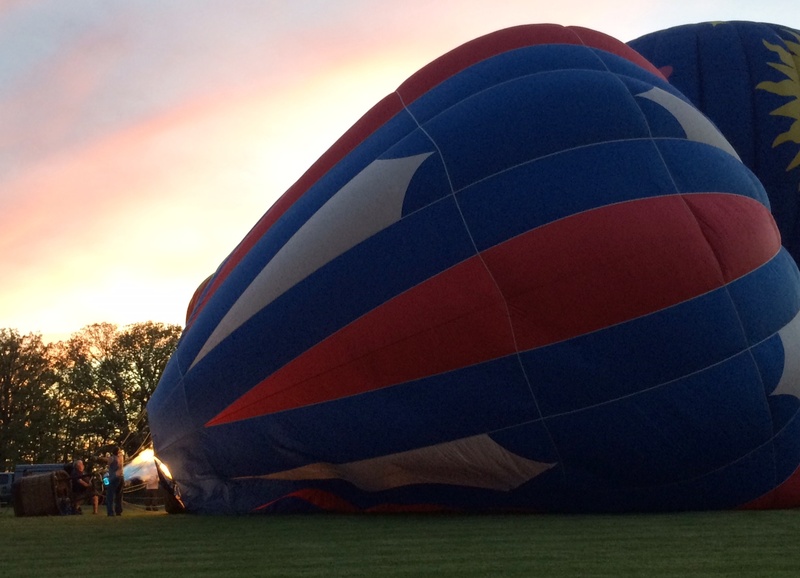 I would love to ride in a hot air balloon – it looks like an exciting adventure. But, unfortunately, I’m afraid of heights. Wow, I would love to go see that someday. Absolutely beautiful!! My son loves Hot Air Balloons, he would be amazed! It’s always been a dream of mine to travel to New Mexico to watch the big gathering or hot air balloons. You are truly tempting me with those pictures. Wow those pictures are fantastic. I would love to go and sit and watch this. I would never do the actual flying but to watch it would be great. I know the kids would love it as well! Wow, this sounds like you had so much fun. I love that they put a “show” on with the flames. We just had a hot air balloon go over our house a couple of nights ago. They are so mesmerizing to watch! Hot air balloon glows are so fun! I went to the big one in Albuquerque. It’s more spectacular than you can imagine. Wow, they look amazing! I’ve never gone to anything like that before. These balloons look so pretty. I have always wanted to ride in one. These photos are so gorgeous! I especially love the one with the sun and moon. This looks wonderful. I have always wanted to see the Balloons up close and experience it. Oh what a fun time. My sons would love this. We were there too! The festival is awesome & the city is just so adorable. We went to the parade they had too, the kids loved it! I have been to something similar in Texas. Ballunar Fest. Quite a sight to see. Oh my gosh! What a cool festival! I live in Michigan so this would be a do-able drive! Wow! How neat! Those are so beautiful! I have never been in a hot air balloon, I don’t think I could handle it, since I am pretty chicken to even get in a helicopter/air plane. These hot air balloons are wonderful. I have been to a park in the past when they took off and it was quite a site. They are amazing for sure! Oh Carter would love this! He really loves the hot air ballons, have never seen them lit up though! Wish we lived close to be able to see it! Hopefully someday! I wish we lived close see to this!! I wouldve loved to have seen this in person. The photos are absolutely gorgeous. Very pretty got air balloons, love the colors and styles. They looks so pretty at night light up like that. Must have been so much fun watching them prepare them. And our kids would love this. That looks beautiful! 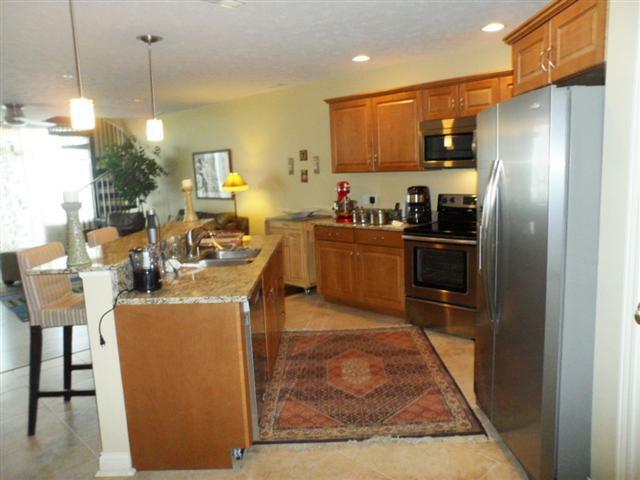 I love that you write travel posts from here in Ohio. I find out about so many different things that are offered that otherwise I wouldn’t have known about! I’m in Columbus and I didnt know about the balloon festivelle. Id like to take my grandkids next year. Wow, just so beautiful! Have always wanted to go for a Hot Air Balloon ride! This looks absolutely beautiful I would love to go to something like this. I’ve always wanted to go up on a hot air balloon. It looks like so much fun!!! dang went about 7 years ago to a ballon field race and was very cool to see these. 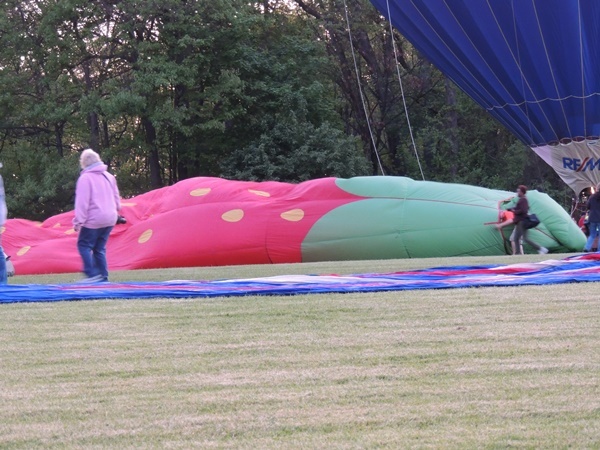 It has been years since we attended a hot air balloon show. This review make me want to attend another one soon. I have always wanted to go up in a hot air balloon. We have been to a similar event and it is amazing watching these balloons all lift off and float through the sky. You took some great pictures! Such a cool thing to see! I would never in my life get in one, but that has got to be even more awesome in person. Fun to watch but I would absolutely never ride in one. I definitely would not get bored watching that. Thanks for the info! I volunteered at the Albuquerque balloon festival for a couple of years when I lived there. 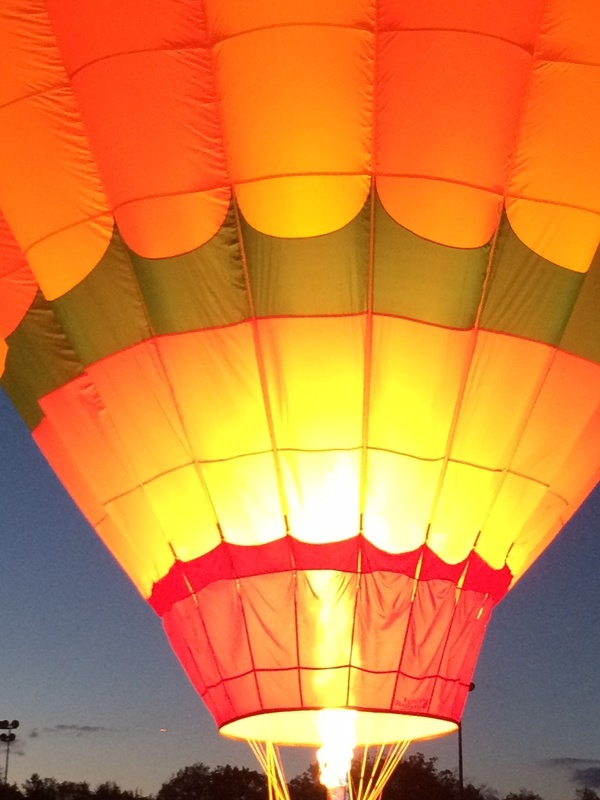 I love hot air balloons and love to ride in them. You got some nice pictures. Must have been a lot of fun seeing all those balloons. Many years ago, I rode in one and it was breathtaking. It’s neat to see the set up of these hot air balloons. I love the pics and would to see this in person. So Cool! 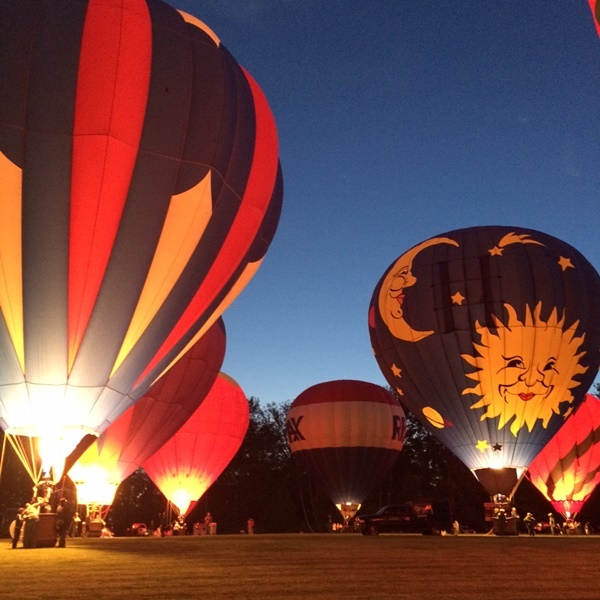 I Bet The Sky Full Of Balloon’s Was Beautiful In Person, Great Photo’s Thanks For Sharing! Rode one once. Quite a thrill. 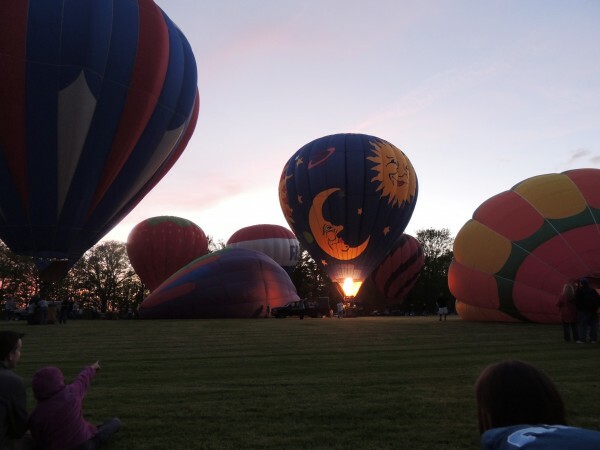 How pretty, I’ve always wanted to go on a hot air balloon ride, I love what they look like in the twilight too. I’ve always been awestruck by hot air balloons. This must have been just like seeing some of the worlds largest candles all lit up! Just beautiful. I will never forget when one had to set down in our backyard when I was growing up in the country because it was getting windy and it was going off course. It was the coolest thing! 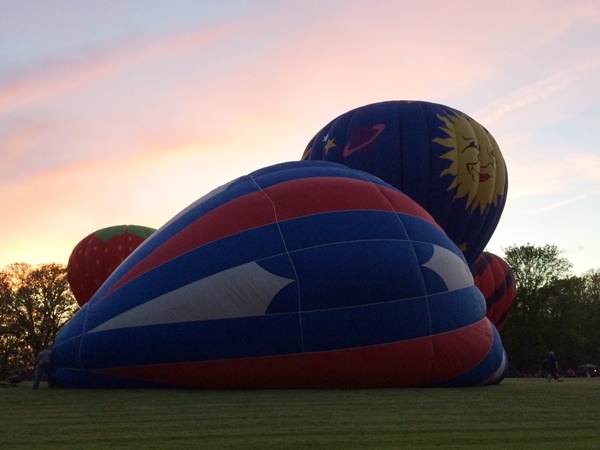 i have been to a hot air balloon festival in new mexico and i love all the shapes and types of balloons there are. 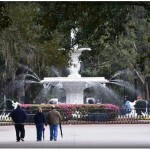 if i ever make it out here i will try my best to check it out. it looks cool. I bet these were all so pretty at night. Hot air balloons are amazing! So beautiful! We had something like this where I grew up.It started at about 3 in the morning and we would show up with hot chocolate or coffee and blankets and just sit and watch them.There were so many cool balloons! 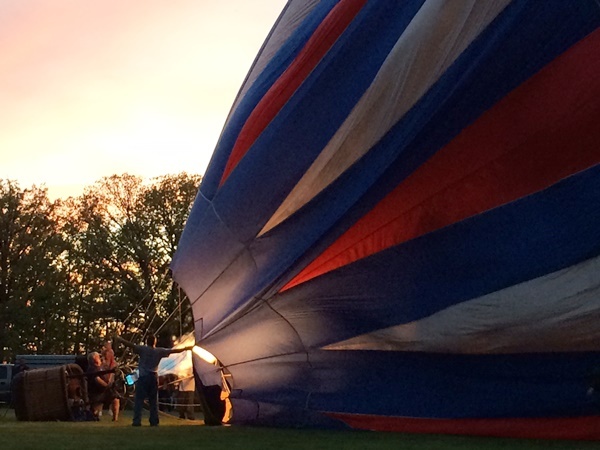 We’d love a balloon festival! 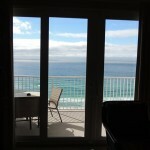 How pretty!! I would love to see the Balloons light up at different times and see all the different designs. How pretty, and fun for the family to see. 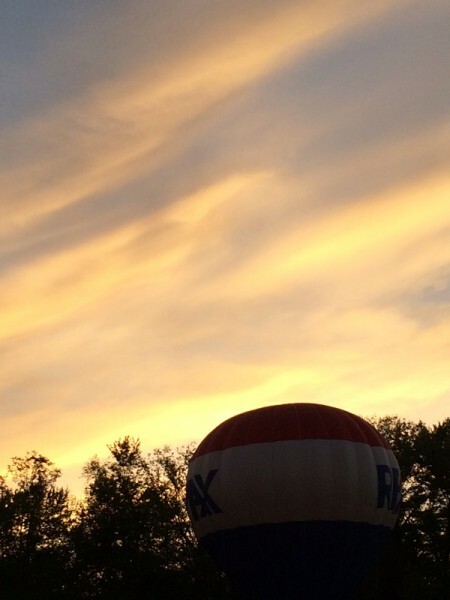 I want to go to the Chagrin Falls Balloon Festival.